Get creative this Mother's Day! With Mother’s Day right around the corner, here are some out-of-the-ordinary ideas to make Mom feel comfortable, healthy and safe. Mother’s Day is Sunday, May 11, and now is the time to start thinking of original gift ideas to tell Mom we value her health and well being. 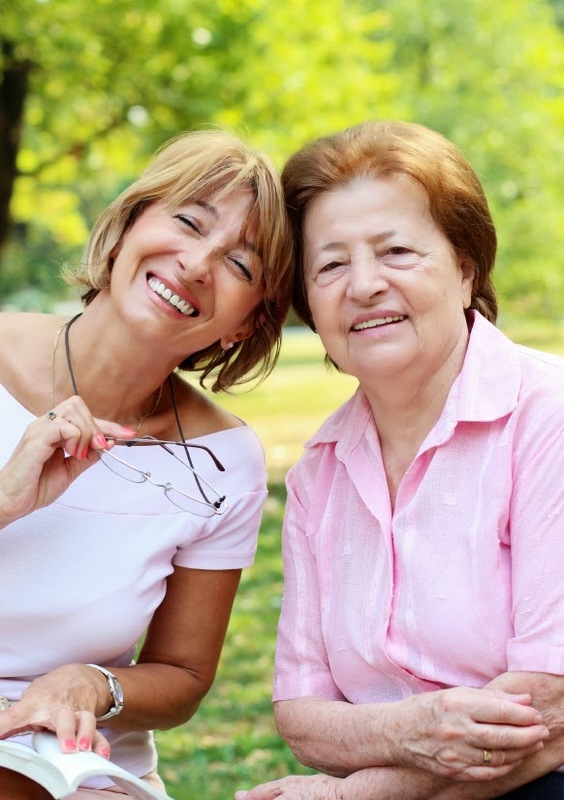 It can be hard to come up with ideas for senior moms who lean toward the more practical, but you can surprise Mom with the unexpected while giving you both peace of mind. Here are a few recommendations we offer to stumped caregivers who call our team of product specialists for help choosing the right items. Mom’s Meals delivers nutritionally balanced, freshly prepared meals to customers’ homes. Designed to meet the needs of our aging population in which hunger and malnutrition are common problems, each meal contains fresh foods, is microwaveable and will keep in the refrigerator for two weeks. Mom’s Meals offers 70 unique meal choices, including specialty choices like low-sodium, low-fat, gluten-free and more. High-tech monitoring options can provide peace of mind. Telephones specifically for seniors include big buttons, amplified sound and talking caller ID. The Philips Lifeline personal emergency response system includes a wearable, waterproof pendant for fast access to help 24 hours a day, seven days a week. The CareGiver Partnership offers its customers a special discount on the Philips Lifeline service, including free activation valued up to $80. Senior skin requires special care, and those looking for gift ideas for Mother’s Day might consider the importance of products formulated to meet the needs of aging skin. As skin loses elasticity and becomes thinner, it’s more prone to injury and infection. Following a regimen designed to meet the needs of senior skin, especially for those managing incontinence, is important for overall health. Premium incontinence products, such as Depend Silhouette for Women, which are made of cottonlike fabric that looks and feels like regular underwear, help a senior live with normalcy and dignity. The gift of an automatically scheduled home delivery service saves a loved one time, effort and embarrassment. With Never Run OutSM, customers arrange to have products delivered on a schedule they determine. There’s no commitment and delivery frequency can be adjusted at any time. For personalized assistance with these and other gift solutions, call our team of experts at 1-800-985-1353, Monday through Friday, 9 a.m. to 4 p.m. Central Standard Time. Watch this video on how we support caregivers and their loved ones.